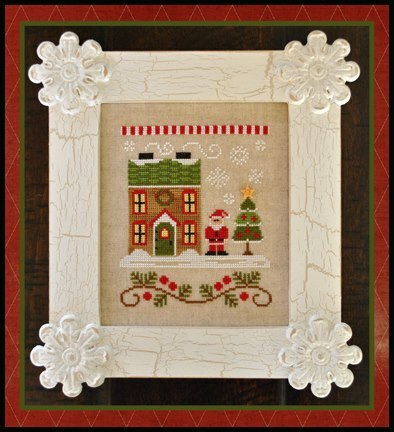 Here is a FIRST LOOK at the 1st release for Nikki Leeman of Country Cottage Needleworks SANTA'S VILLAGE. This first release is called Santa's House! It is an absolutely perfect way to kick off this holiday season. We are doing a special monthly automatic to our shops if they click here and sign up! More info about this series listed below from my post on October 31st. Above is a peek at the layout if you decide to stitch them all on one piece of fabric. 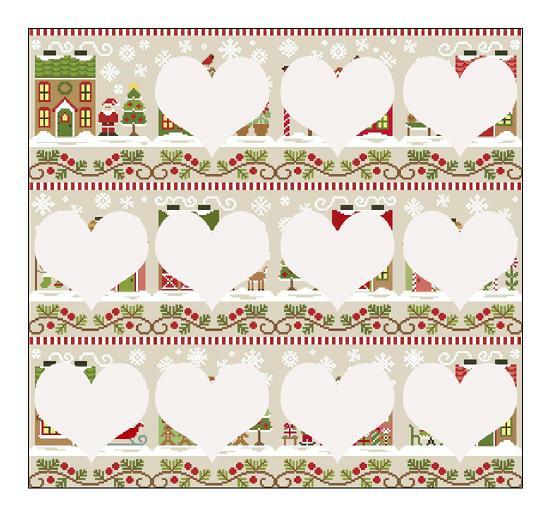 We can't wait to start stitching! For more info on that, keep reading the blog below!